This basement suffered from a water loss from a pipe break in the ceiling. The laminate flooring had significant water standing. The team responded and quickly begin clean up, removing the water and put air movers in place for drying. 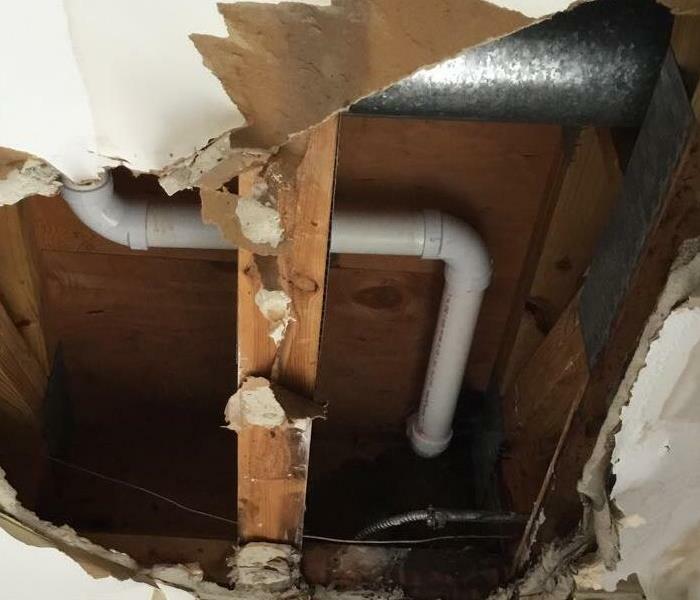 A leak in the plumbing in the garage ceiling caused water damage to the drywall and garage. SERVPRO responded and begin clean up procedures. The drywall was removed and dried then the plumbing was able to be repaired. The kitchen ceiling suffered from a water leak. 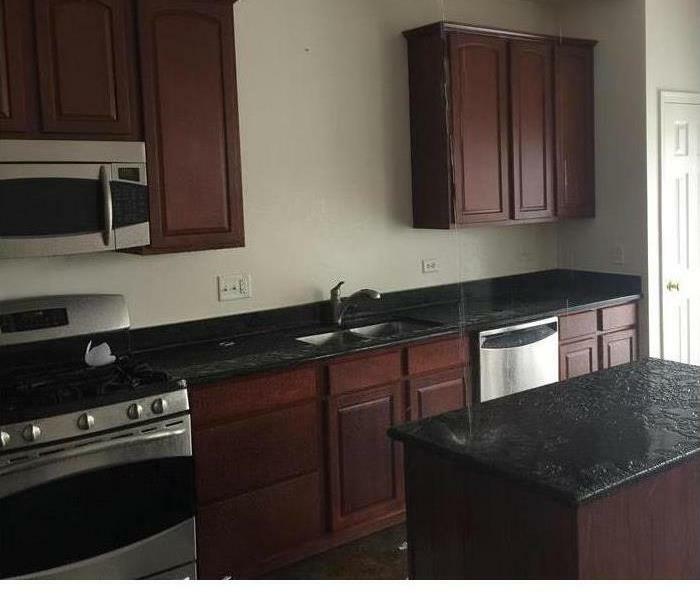 The water was dripping onto the counters and furniture in the living room. 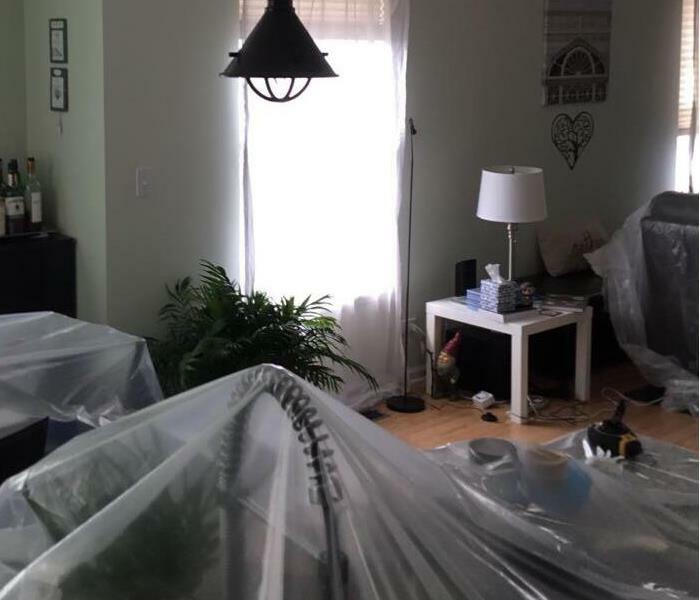 SERVPRO responded and begin covering the content of the home to protect from damages. 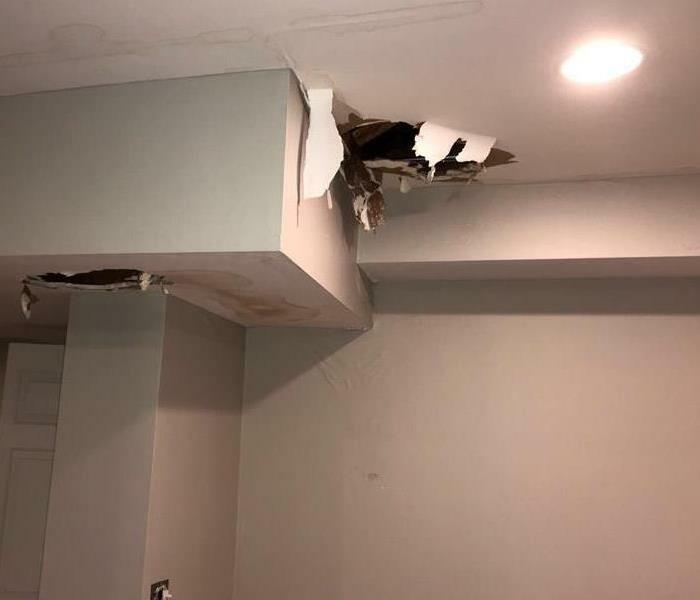 The ceiling in this basement suffered from a water break above the drywall. The drywall was cut out and there was significant amount of water running to the floor and behind drywall. This home had significant roof damage. SERVPRO responded immediately to access the damage and started on repairs. The entire back half of the roof was torn off and rebuilt. The process moved along quickly. 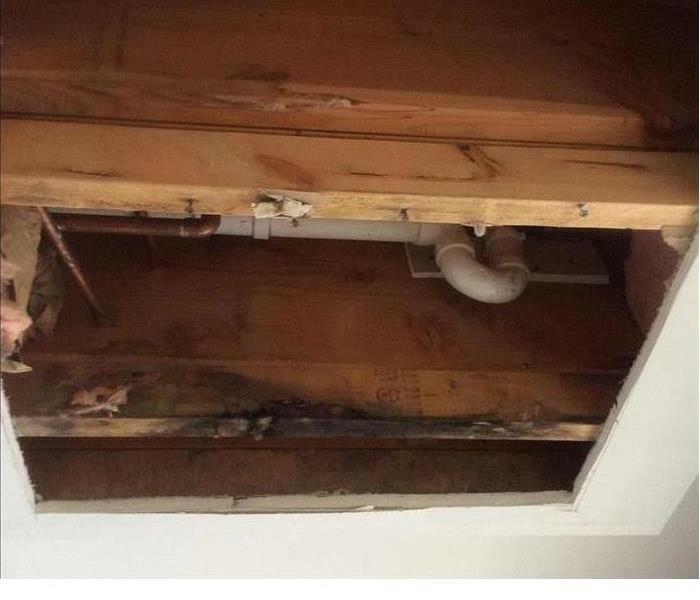 This bathroom and dining room suffered from a water loss after a toilet leak. SERVPRO responded with drying equipment for mitigation. The hardwoods had suffered from water damage. The drying mats were put down to dry the hardwoods quickly to prevent further damages. The dehumidifier was used to pull the humidity out of the rooms to help with further drying. 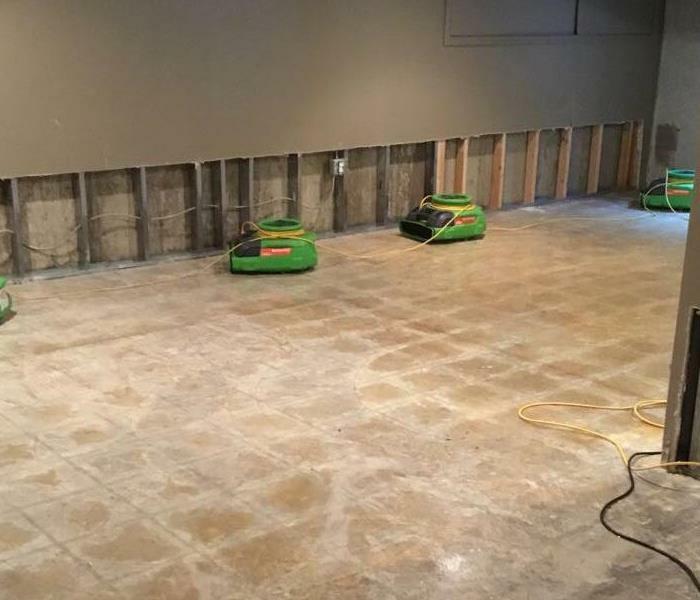 Flood cuts and professional drying equipment was placed in this basement after a water loss. 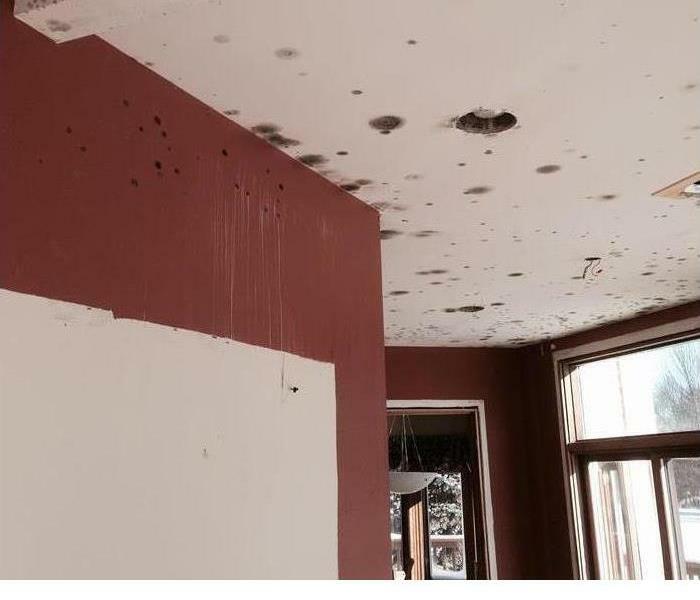 The flood cuts were performed to ensure the drywall was dried properly to ensure no future damages. 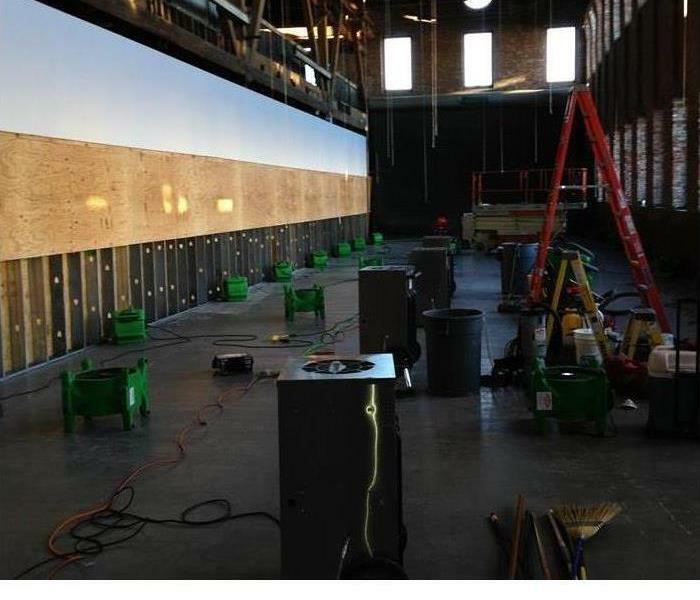 Dehumidifiers were put in place to ensure all the moisture was removed, keeping future damages at a minimum. 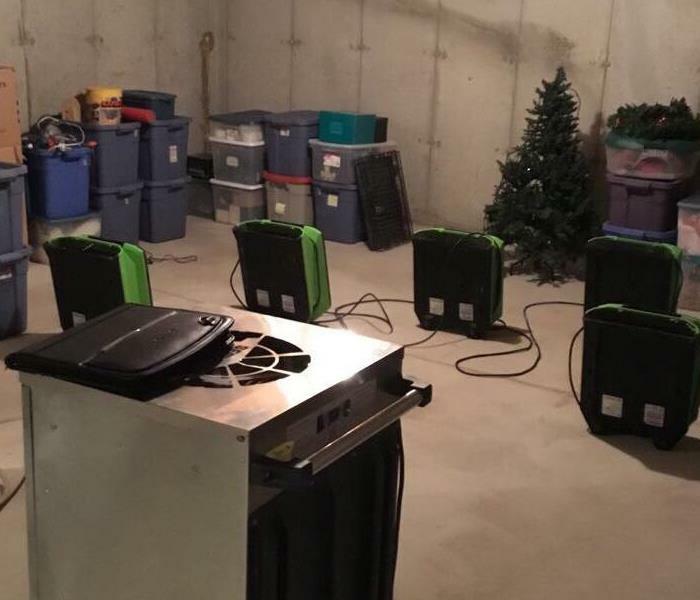 After a water loss, SERVPRO responded immediately to begin clean up procedures. The team used professional drying equipment and techniques to return to normal conditions. The baseboards were removed and drywall dried to prevent mold from growing. 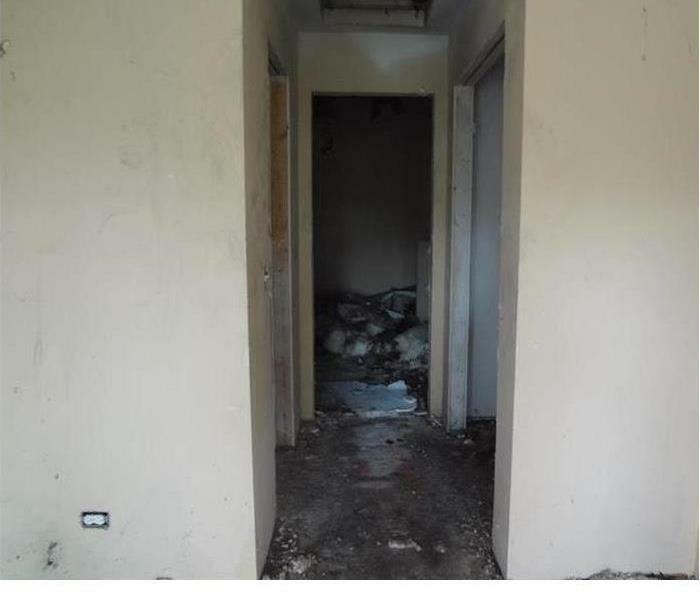 This commercial property suffered from a water loss. There was significant amount of water on the floors. SERVPRO brought in air movers to use to dry the area quickly to prevent future damages. 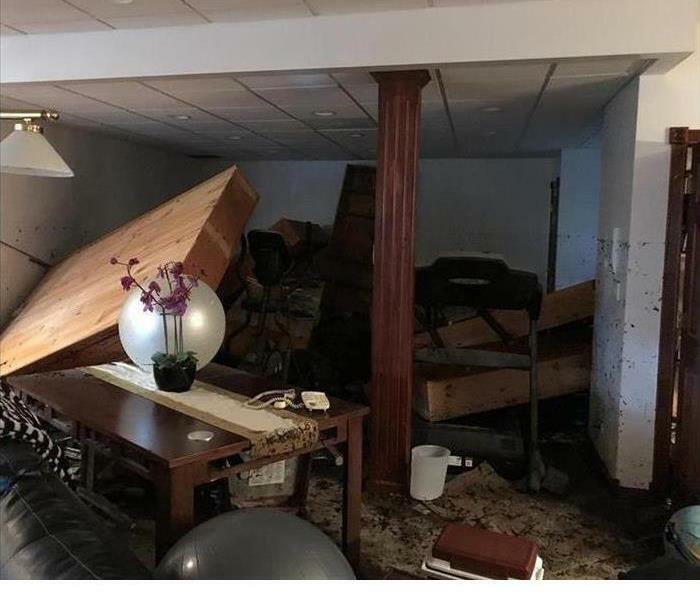 After a water loss the basement suffered from flooding. SERVPRO responded to quickly begin mitigation. Flood cuts were performed to dry quickly and prevent future damages. 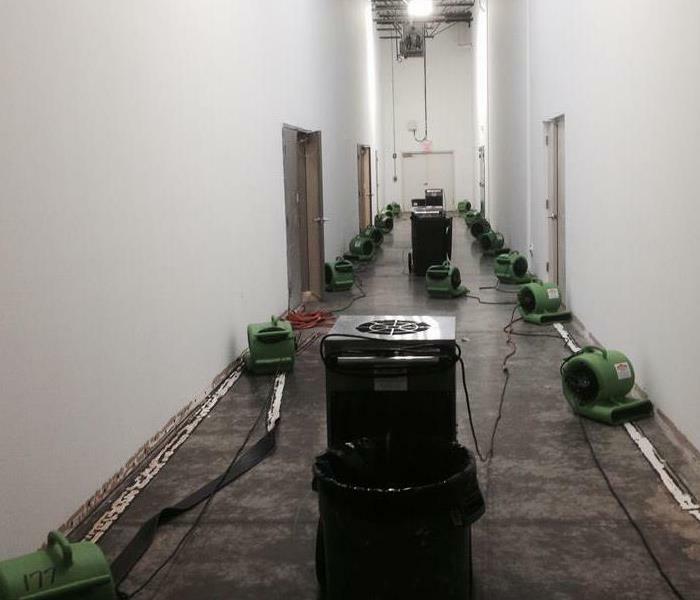 The air movers and dehumidifiers were put in place to remove moisture and dry professionally. 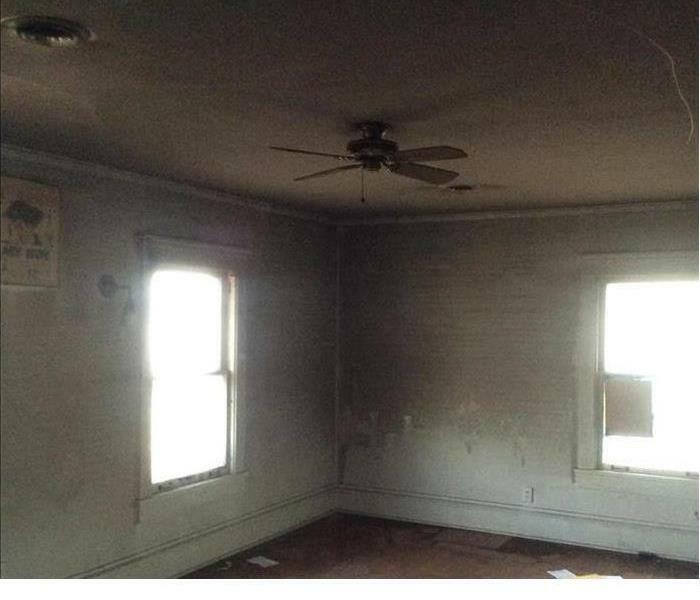 This home suffered from a significant fire loss. 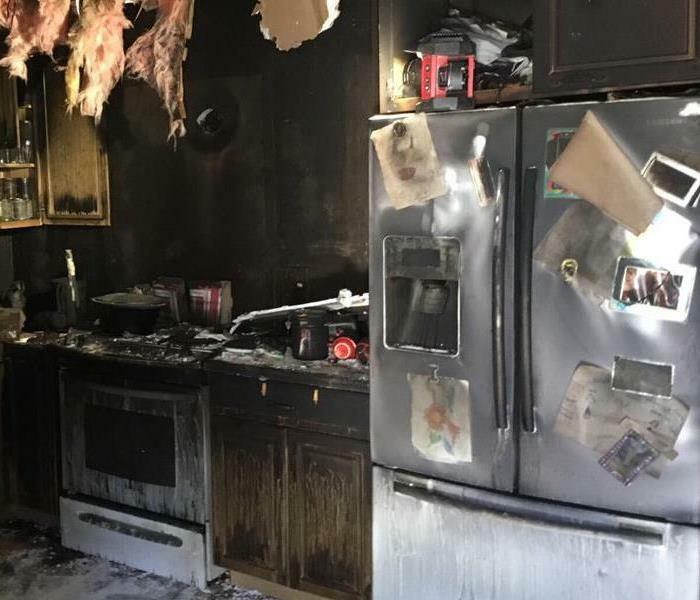 The kitchen suffered from smoke and soot stain along with a loss of belongings. SERVPRO responded immediately and was able to restore this home back to pre fire conditions. 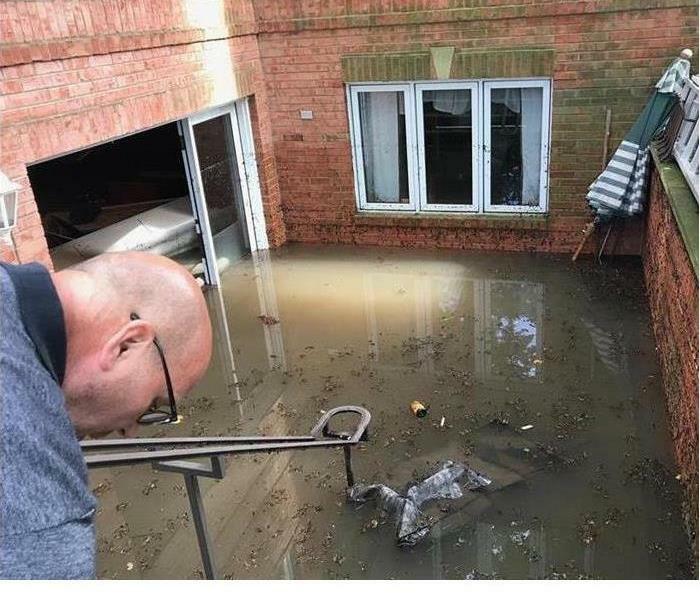 In this image, you can see a home that had a water loss. 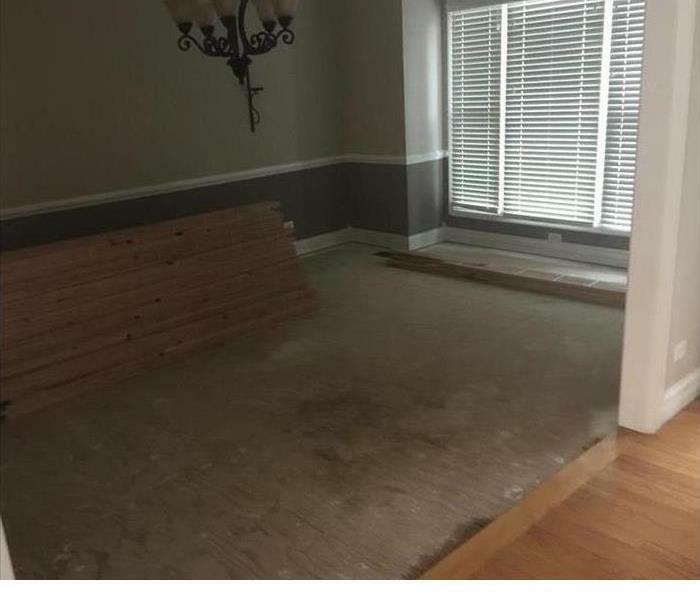 The water got trapped under the wood flooring. 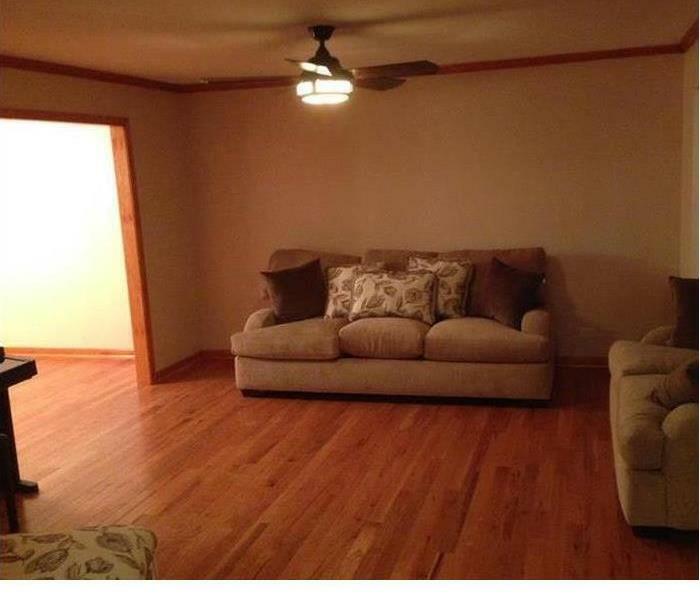 We removed the wood flooring, dried up the water, and then replaced the wood flooring. 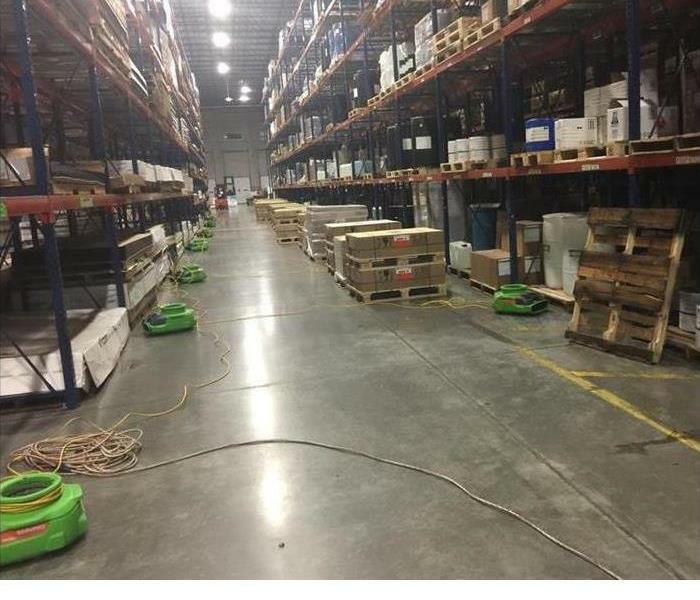 In this image, you can see a warehouse that suffered water damage. As you can see, we brought in drying equipment to help dry up the moisture more quickly in order to prevent further damage. 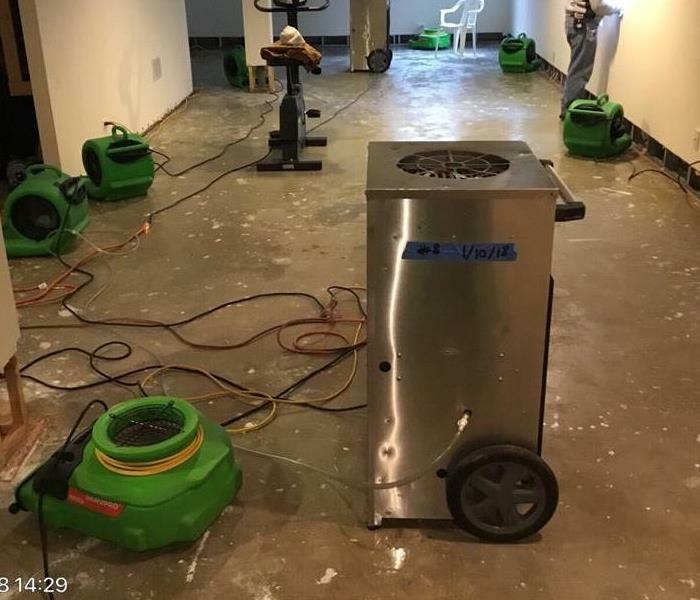 The crew of SERVPRO of East & West Dundee/SW Barrington Hills was called in to clean up and repair this facility after it was damaged by water from a pipe that burst. We were able to make the repairs quickly. 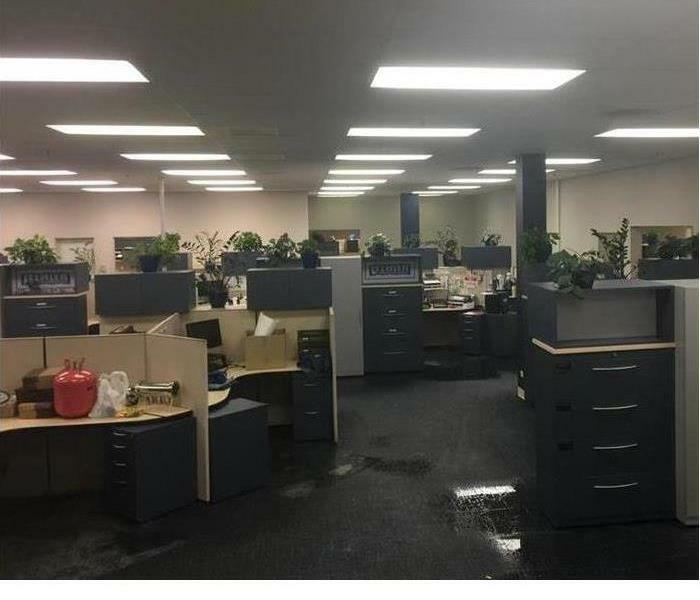 This office space was flooded when a pipe burst and filled this area with water. As you can see, there was still water in the floor when our team arrived. We were able to have them back up and running quickly. 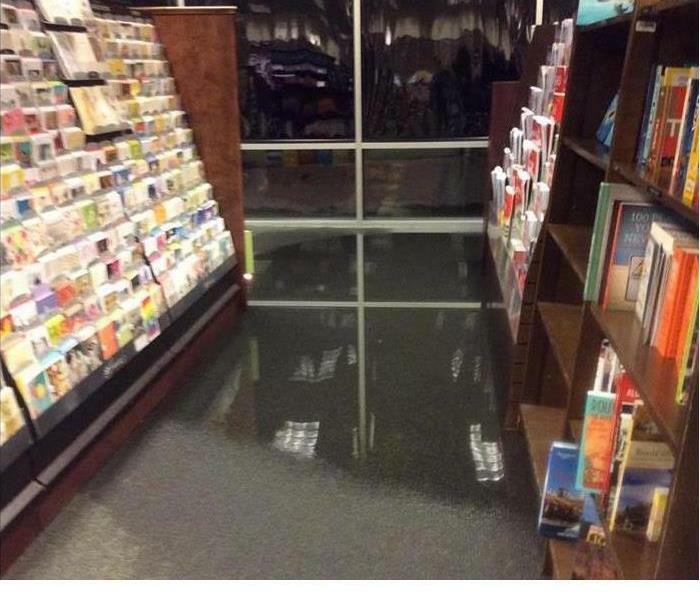 This bookstore suffered a water loss and when our team arrived, there was still water standing in the building. We worked quickly and were able to have this business back up and running in no time. The warehouse in this image suffered damage from flooding caused by heavy rains. 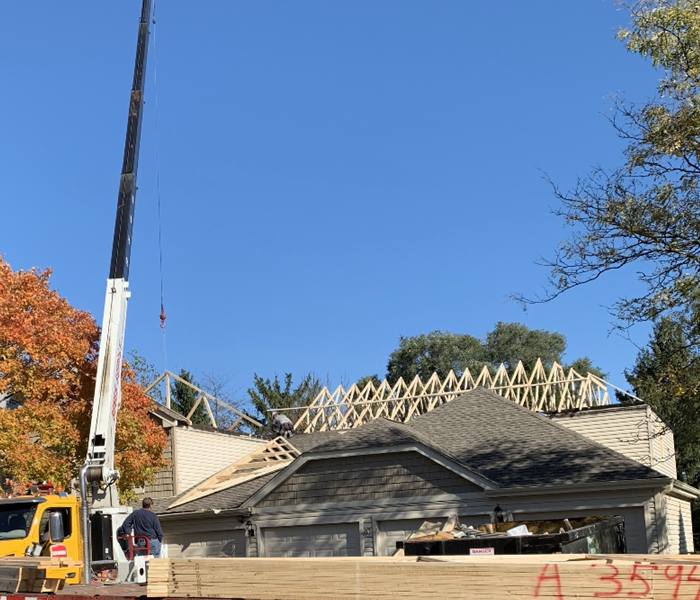 The crew of SERVPRO of East & West Dundee/SW Barrington Hills was called in to handle the cleanup and repair of the facility. 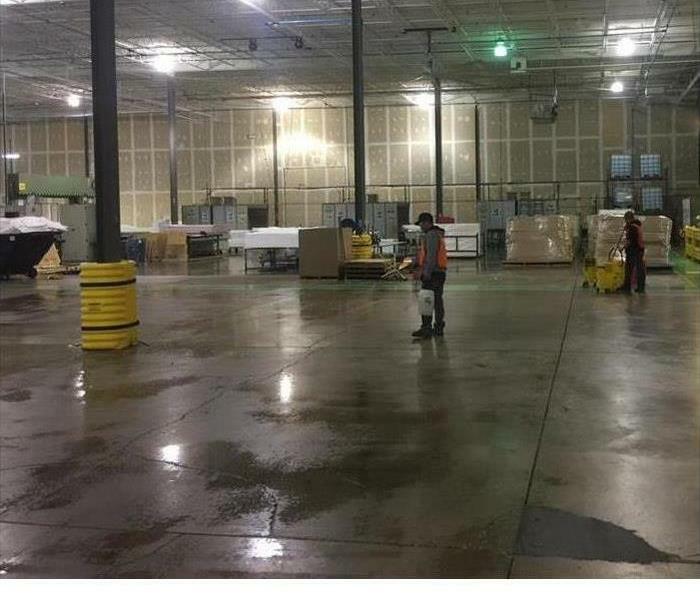 In this image, you can see our crew working to clean and disinfect this warehouse after it was flooded by storm drain backups caused by heavy rains. If your home or business suffers storm damage, give us a call! 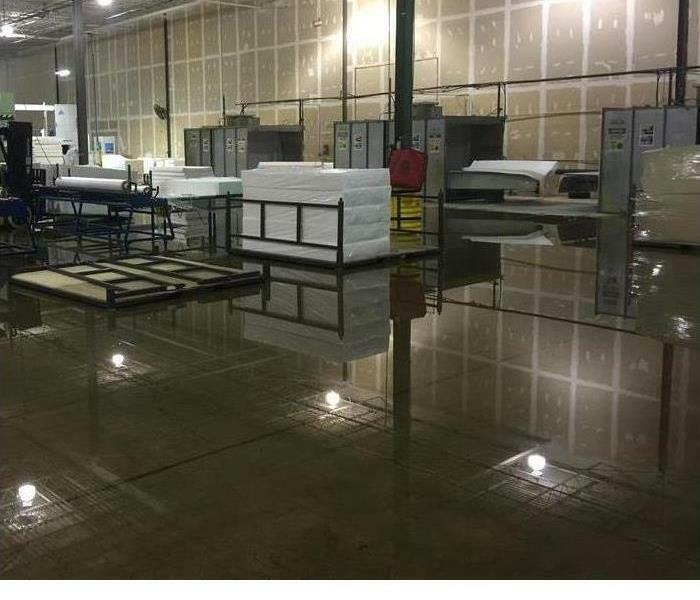 This warehouse suffered flooding from heavy rains. Our team was quick to respond and immediately began working to extract the standing water from the facility. If your home or business suffers storm damage like this, call us! It may not look like it now, but this walk-out basement was full of mud, water, and debris from heavy flooding. 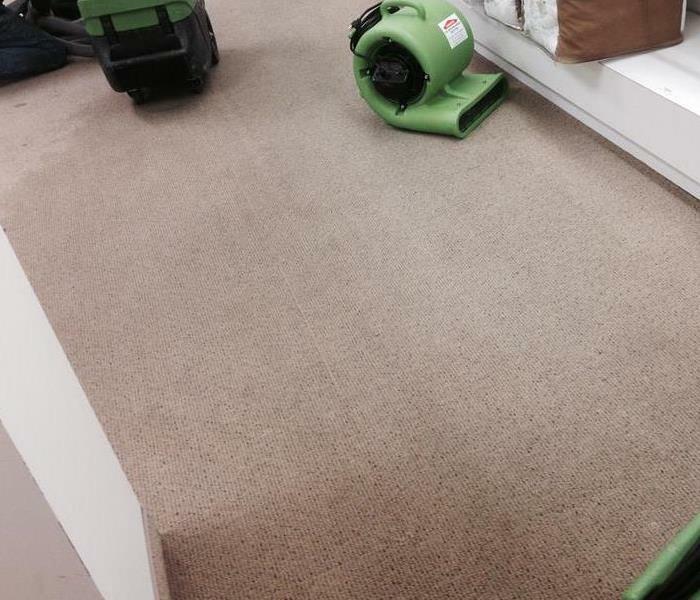 The crew of SERVPRO of East & West Dundee/SW Barrington Hills made it "Like it never even happened." What do you do when you have flooding like this? You call SERVPRO of East & West Dundee/SW Barrington Hills. Our team is available 24 hours a day, 7 days a week, 365 days a year to respond to your disaster. 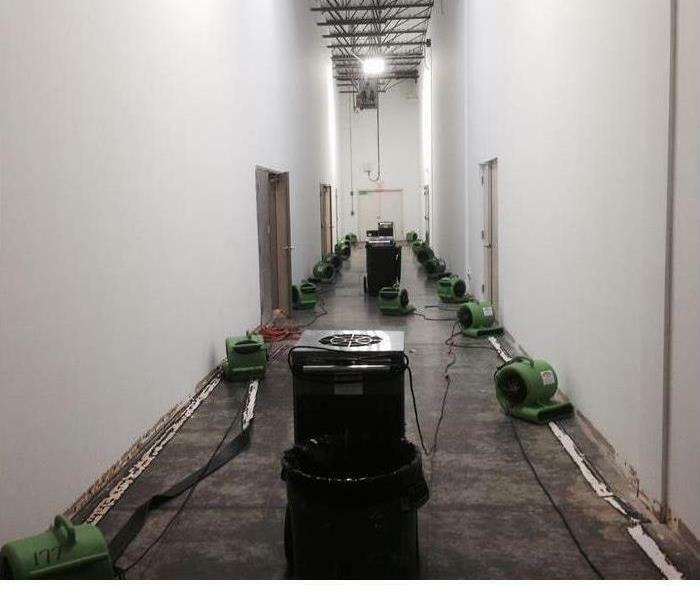 The crew of SERVPRO of East & West Dundee / SW Barrington Hills was quick to respond to the call to clean up and repair this commercial facility after heavy rains caused the flooding you see pictured here. The pipe in this image had a leak that caused a mold problem to begin to develop in this home. Our team was able to take care of the moisture problem and get the mold taken care of quickly. 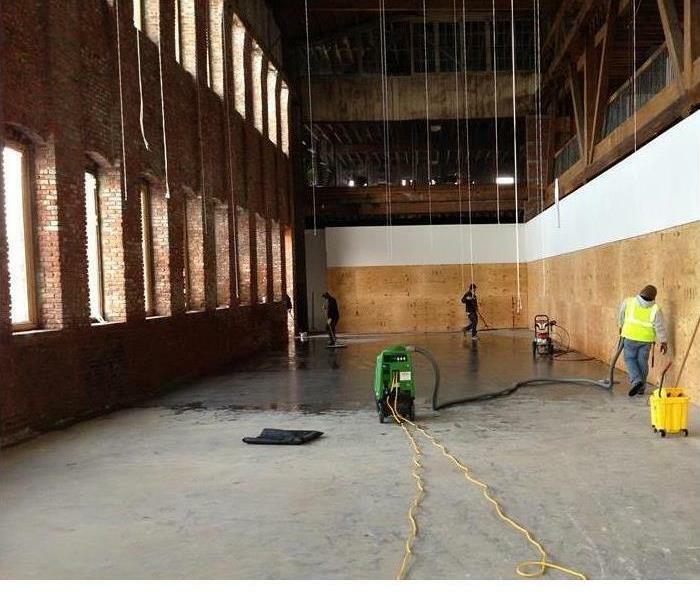 This commercial building had a mold problem and our team responded quickly to the call for mold removal. As you can see, we used special drying equipment to help the moisture to evaporate more quickly. Mold loves moisture. 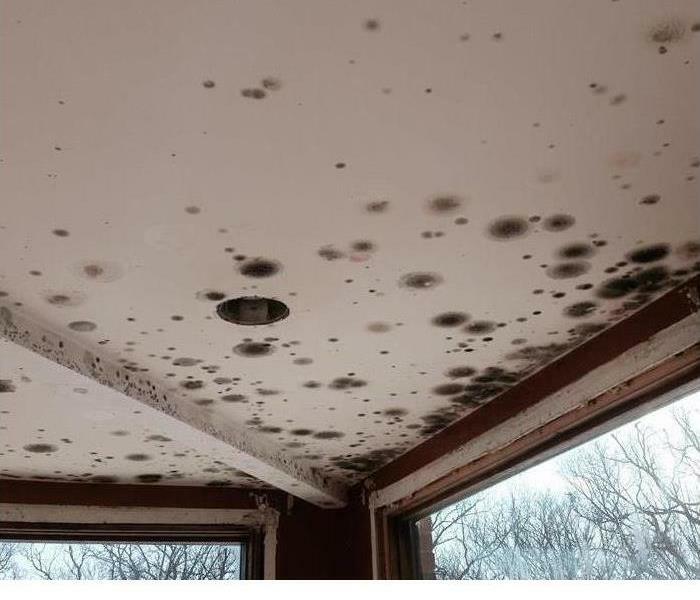 So, if you have a mold problem you can bet that there is a moisture problem as well. Call the team here at SERVPRO of East & West Dundee/SW Barrington Hills. We are faster to any size disaster. When you have damage from flooding, you can begin to develop mold if the moisture isn't dealt with in 24-48 hours. So, if this happens to you, don't wait. Call SERVPRO of East & West Dundee/SW Barrington Hills. No matter what type of damage your home suffers during a fire, our team can handle it. 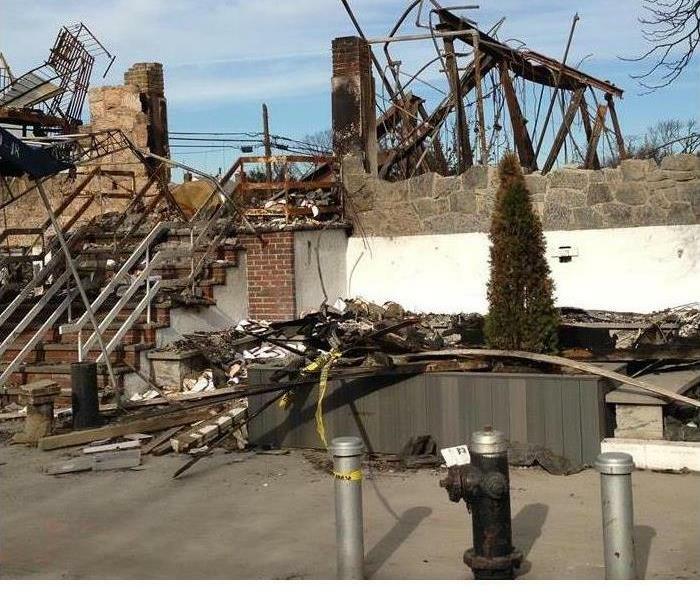 Even if you think your home and your personal items are a total loss, they may not be. Call SERVPRO of East & West Dundee/SW Barrington Hills. 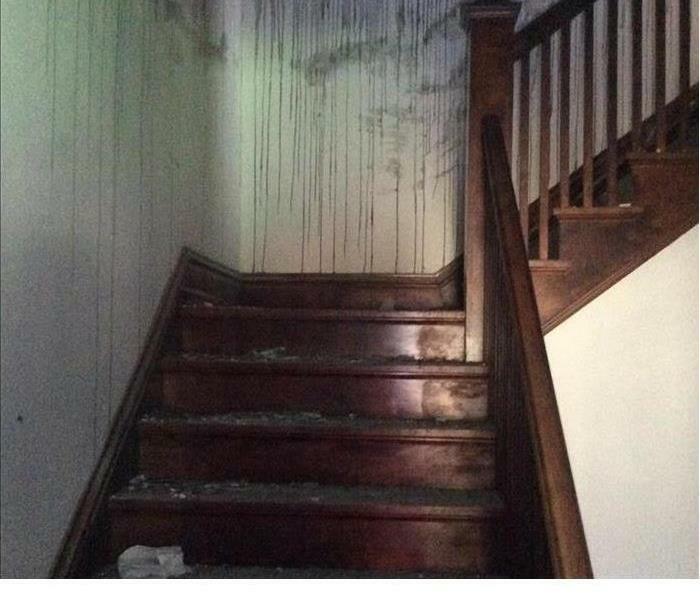 When your home suffers damage from a fire, you will likely have soot deposits like those in this image throughout your home. The crew here at SERVPRO of East & West Dundee/SW Barrington Hills is trained and equipped for the proper removal of soot from your home. 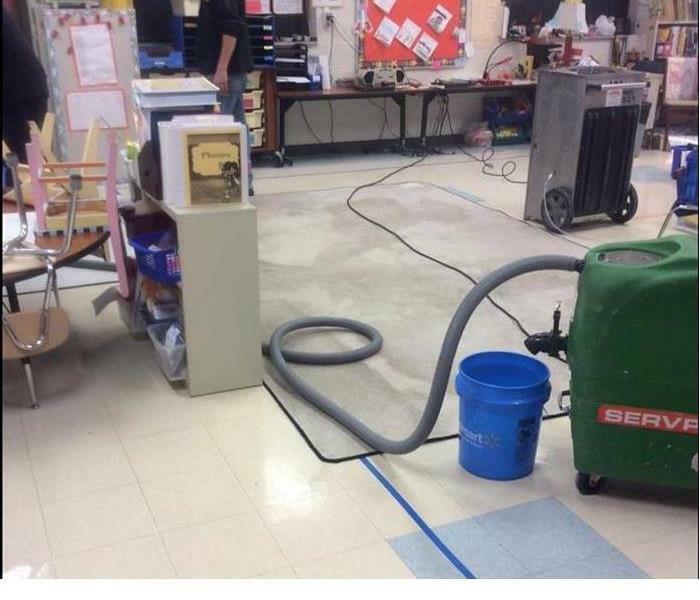 This elementary school was flooded when a broken pipe poured many gallons of water throughout the facility. The flooding affected multiple classrooms, closets, and hallways. Our team responded quickly to the call and immediately began extracting the standing water from the facility. 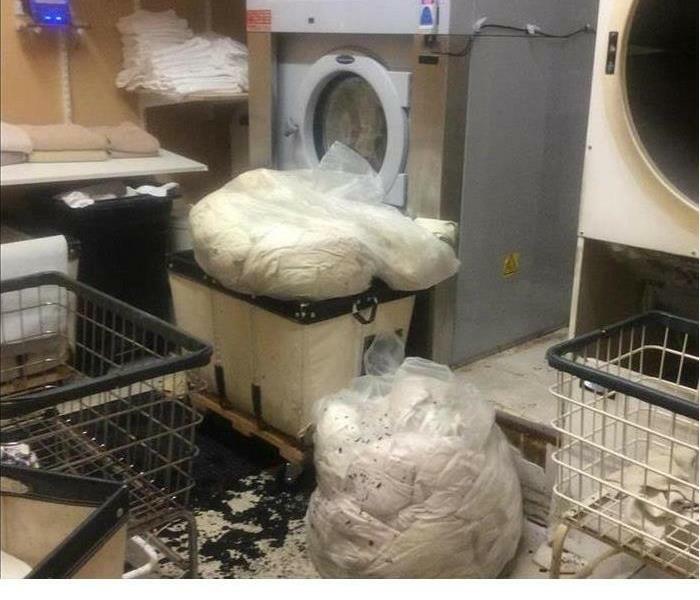 In this image, you can see a commercial laundry room that suffered damage due to a fire in the facility. Our team was able to quickly make repairs and get this facility back up and running in no time. 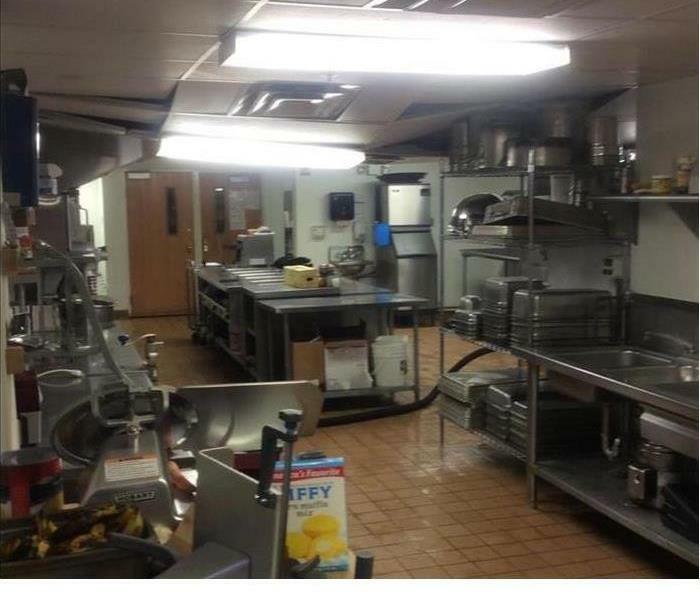 This commercial kitchen in a senior living facility was damaged by a water loss that occurred when an upstairs pipe burst. 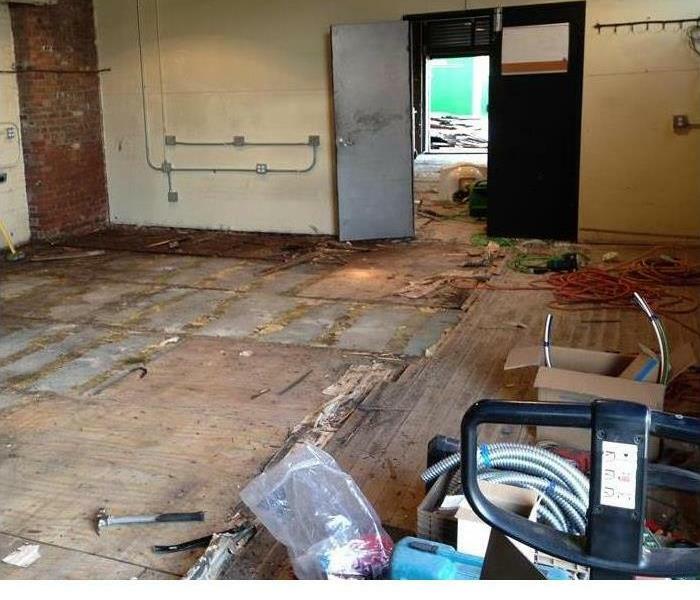 If your business suffers a water loss like this, just give us a call. 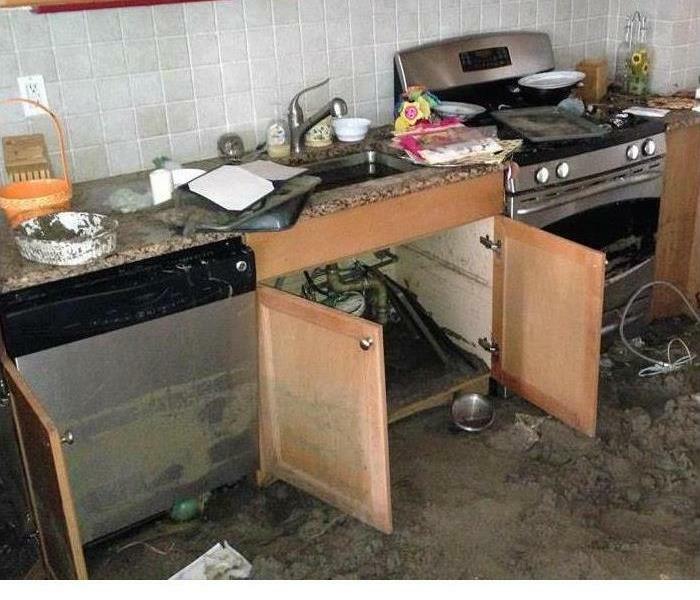 SERVPRO arrived at this home with water damage to the kitchen. They immediately began getting the water off the floor to keep from damaging the floor. The damages were to the cabinets and ceiling. This is the aftermath of a Fire in East Dundee. The whole house was almost destroyed down to the structure. SERVPRO was called out to help clean up the fire damages and help with insurance company. 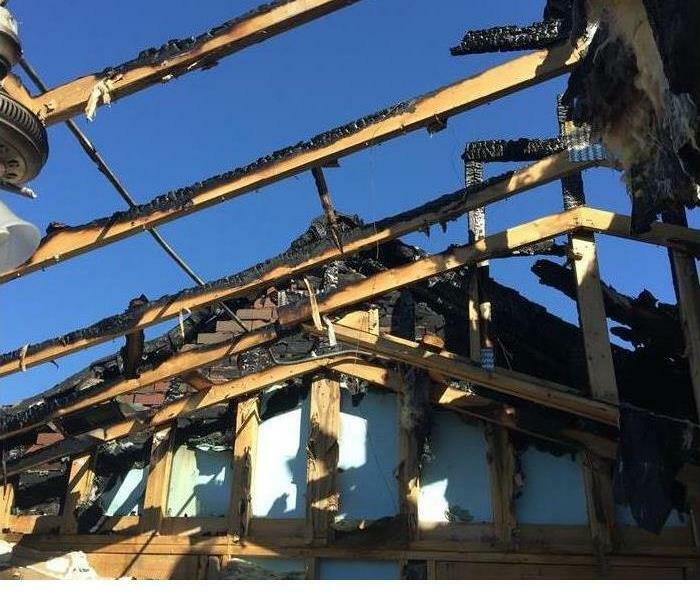 SERVPRO assited in cleanup of fire after house was destroyed. The structure was burned to the ground. Clean up crews were sent out to look at damages then clean up crews sent out to pick up the debris. The aftermath of the kitchen in West Dundee. 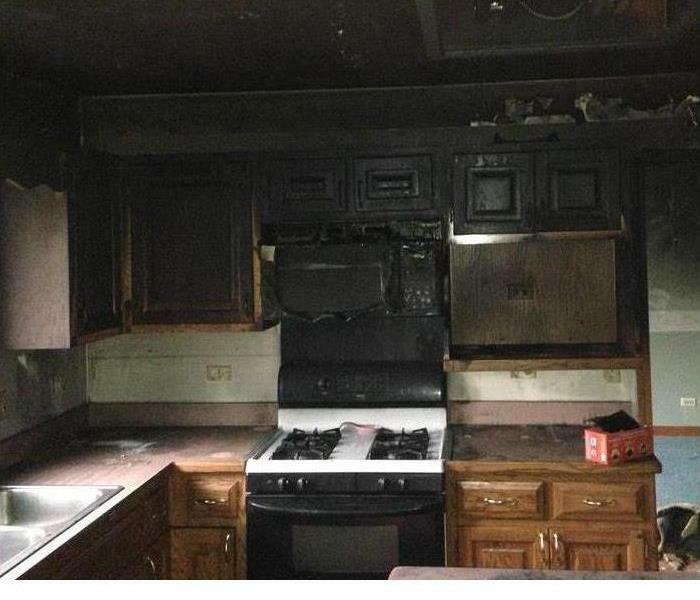 The cabinets and counters were covered in smoke and debris from the fire. SERVPRO came to the house and helped home owners through the process of restoring the kitchen back. 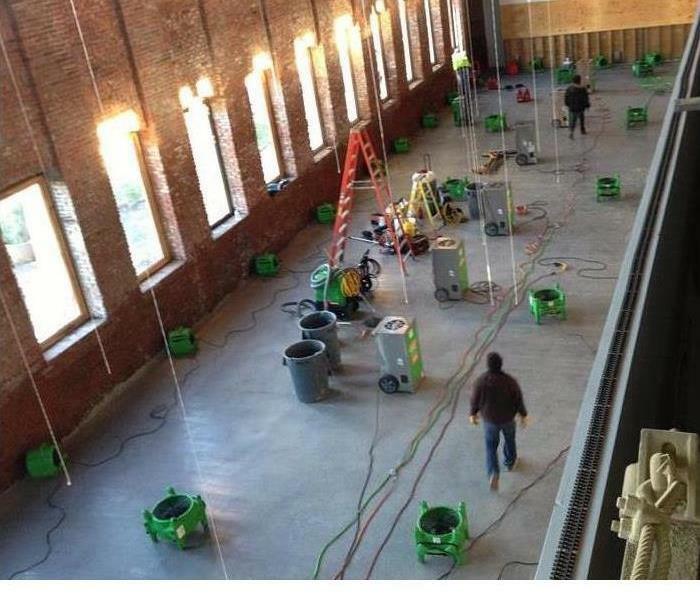 SERVPRO has the techniques to dry your commercial property after a water loss. They have trained technicians who can handle your restoration or cleaning needs in any circumstance. They are trained to use special drying equipment like shown in this picture. SERVPRO can respond to your home or business after a fire. They have trained technicians that come in and clean up water damage from fire fighting along with removing the smoke and soot damages. 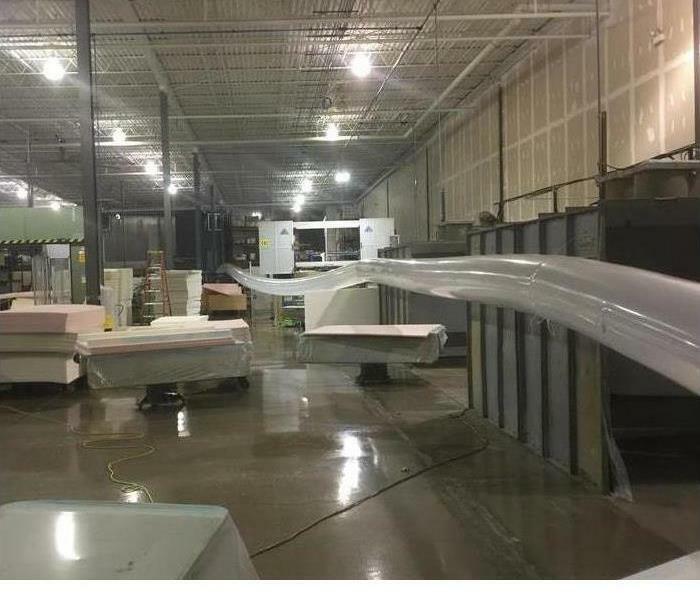 This commercial warehouse had a massive amount of water damage. SERVPRO was quick to respond and begin the extraction process. Once all of the water was removed, our teams began placing equipment to finish the drying process. 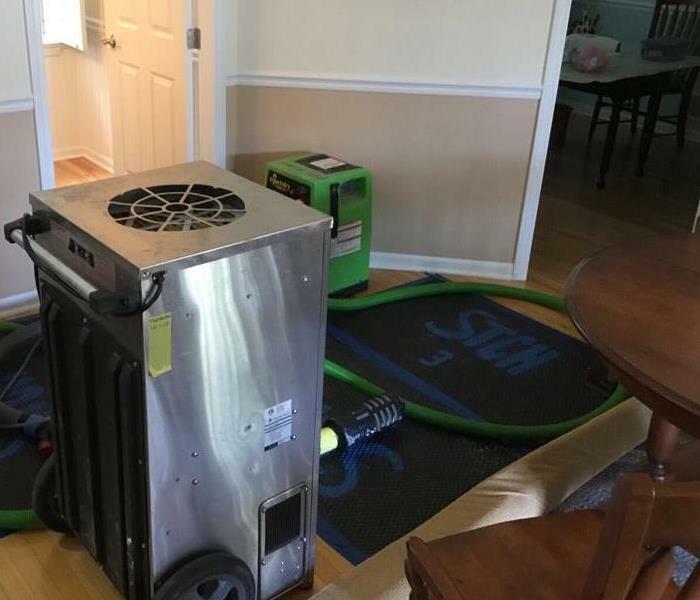 No matter the size of the loss SERVPRO has the experience and equipment to do the job. 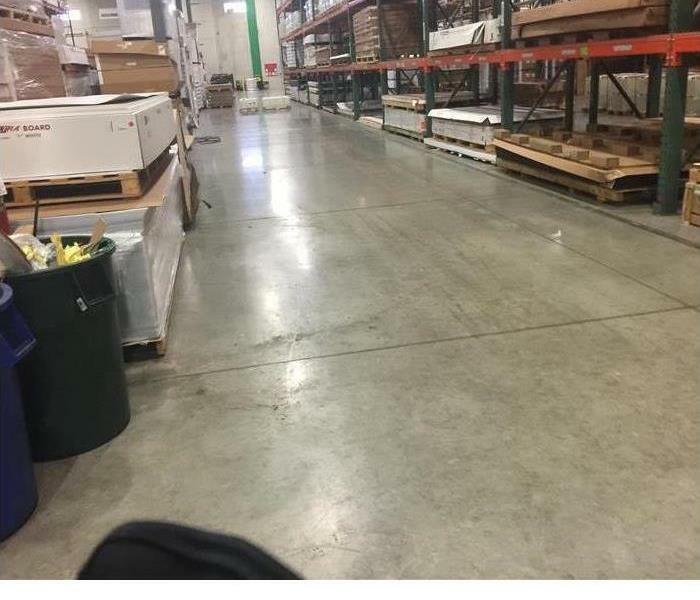 This warehouse had a water damage that needed immediate attention to remove the excess water. The main worry in this situation is that concrete can hold a lot of water causing humidity if dried out slowly.